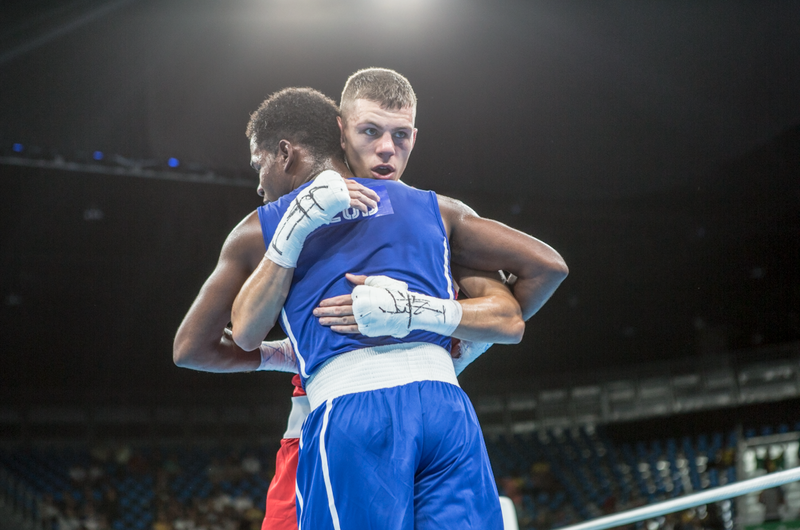 It has been a dramatic opening to this week’s boxing at the 2016 Olympic Games as Team GB have seen six of their twelve boxers edged out of the competition. McCormack and Buatsi had a stunning performance in today’s session, giving Team GB the wins they were looking for. Pat McCormack opened his Olympic campaign with a split victory over Zhussupov of Kazakhstan in a terrific display of boxing. The first round saw patience from both boxers, each having to work for their openings. McCormack put on a very clever display of boxing, landing the most eye catching punches of the bout. McCormack forced his opponent to retreat on unsteady legs with a cracking right hand in the second round. The final round saw McCormack in a commanding position with a very impressive Olympic debut against an accomplished boxer. Ranked number 18 in the world, McCormack will now face Cuba’s number 2 seed, 64kg Yasnier Toledo in the second set of preliminary rounds on 14 August. Last up in tonight’s session looking to extend his 2016 Olympic campaign was 69kg Josh Kelly. It was always going to be a tough bout as Kelly was up against Kazakhstan’s Daniyar Yeleussinov. Yeleussinov is a two time Olympian and the world number one. The highly accomplished boxer is also seeded number two in the 2016 Olympic Games. The opening round saw Yeleussinov find his range immediately, this continued into the second round as he made another rapid start with sharp right and left combinations. Going into the third round Kelly was behind on the judges’ score cards. Kelly competed right up until the final bell, he caught his opponent with some goods shots but it wasn’t enough. Yeleussinov won the bout by unanimous decision forcing Kelly to bow out of the tournament. Speaking to Team GB, Kelly said: “He’s probably one of the best boxers in the tournament never mind this weight category. He’s top class, but I did the best I could and hopefully it looked quite an even match. “He got the more shots off every round. He was fast with his feet and his hands, he was in and then out. Boxing continues on Saturday 13 August where super heavyweight Joe Joyce makes his Olympic debut.